Britain felt like a country bereft of true leadership in 2018 as Brexit madness took hold, but the England football team and its manager offered a stark contrast. In Southgate, the country – the bit south of Hadrian's Wall and east of the Anglo-Welsh border, anyway – had a leader who showed qualities so lacking in our political figures, and the kind of comms prowess that gained him, and the entire England football set-up, justified plaudits. In football terms, England had a great year, reaching the semi-final of a major tournament for the first time in 28 years, and later overcoming Spain and Croatia to top their Nations League table. The team’s handling of the media was equally impressive. The sometimes icy relations exhibited between press and players in previous years gave way to a spirit of openness and engagement. Tactics included a Super Bowl-style open press event in England prior to flying to Russia. Once there, the players spent time with the press pack in darts and pool tournaments at the team hotel, while the FA filmed a daily #LionsDen show for social media. A notable example of the new approach was when defender Danny Rose spoke for the first time about his depression diagnosis, receiving much sympathetic commentary. Even media storms that did emerge, such as the controversy over Raheem Sterling’s gun tattoo, blew over relatively quickly. Crucial to the new era was Southgate himself. Sources close to the England camp suggested the press team had a good relationship with the manager, who trusted them to innovate, having gained a good understanding of media relations as a commentator and broadcaster. Southgate’s likable, respectful and modest manner seemed to set the tone for the players, who acted with a sense of togetherness and lacked the arrogance and bullishness that is sometimes associated with the so-called "golden generation". The image of the cerebral manager comforting Colombian player Mateus Uribe after his penalty miss was one of the enduring images of the tournament. 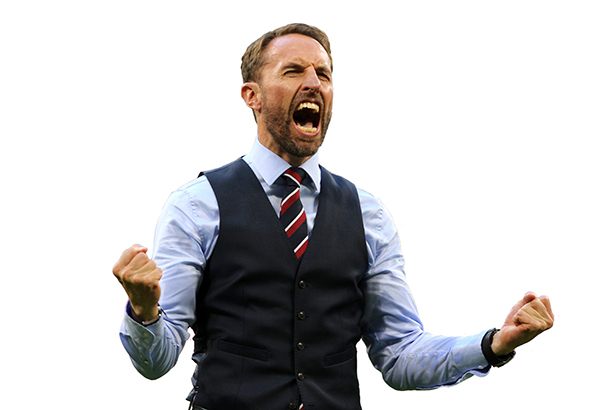 Football may not have ‘come home’ in 2018, but thanks to the FA, and Southgate in particular, it felt a lot closer to English hearts.